CORindex, a platform owned by COR INDEX INC, is conducting a systematic analysis of synthetic and structural off-market cryptoasset indicators. NY, NEW YORK, UNITED STATES, January 4, 2019 /EINPresswire.com/ — CORindex, a platform owned by COR INDEX INC, is conducting a systematic analysis of synthetic and structural off-market cryptoasset indicators. – Cryptoasset emission speed in USD. Calculated based on the volume of emission of new coins into the system and the rate at time of emission. – The ratio of direct cryptoasset transactions from capitalization. Calculated based on the volume of direct blockchain-based transactions and the market capitalization of a given cryptoasset in USD. – Total volume of transactions in USD, which shows the fiat equivalent of market transactions of a cryptoasset in USD and blockchain-transactions of the cryptoasset in USD in the analyzed period of time. 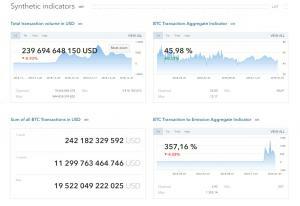 – An index of a cryptoasset's transactions calculated based on its trading volume in USD and the volume of confirmed blockchain-based transactions in USD in the analyzed period of time. – The sum of all of a cryptoasset's transactions in USD, which shows the fiat equivalent of all market and blockchain-based transactions, expressed in USD. – A ratio of a cryptoasset's transactions and emission. Calculated based on a percentage of the volume of market and blockchain-based transactions, compared to a cryptoasset's total emission. – Share of a cryptoasset in wallets, which shows the percentage of an asset owned by analyzed subjects in real time. – The volume of cryptoasset in the largest wallets, which shows the amount of an asset in the largest accounts in the structure and the share of an asset between subjects in the analyzed period of time. 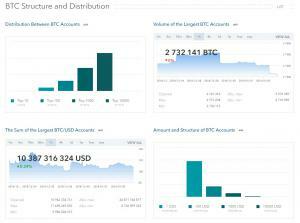 – The amount and structure of accounts, which shows the amount and structure of a cryptoasset's wallets with a positive balance in real time. This press release is meant to be a cursory introduction. It outlines CORindex's capabilities, which are available to traders and anyone looking for analytics. By subscribing to our newsletter, you can receive access to analytical reports in a convenient form. Follow COR Index on Twitter for important crypto analytics and reports.